A Belgian woman has been fined €414 for buying hundreds of litres of bottled water from a French hypermarket - in a cautionary tale for cross-border shoppers looking to save money on their groceries. 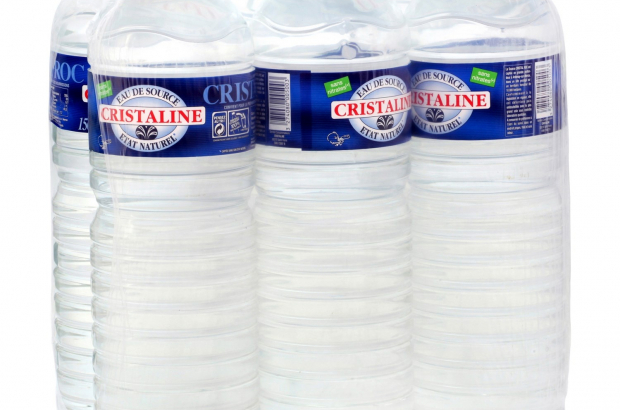 The woman from La Louvière was stopped by customs officers after she made a 100km round trip over the French border in her van to stock up on 70 packs of six mineral watter botles - 630 litres in total. Pascal Camby, head of the customs mobile unit in Charleroi, said the quantity of water was considered "too large" for personal consumption. While it is common for Belgians living near the border to do their shopping in France, Germany or the Netherlands, customs officers are on the lookout for people buying thousands of litres of water to sell in Belgian convenience stores at a higher profit margin. Plastic water bottles in Belgium attract an excise duty of nine cents per litre to cover the cost of recycling. Retail federation Comeos estimates that cross-border shopping accounts for €820 million a year in lost trade for Belgian businesses. Belgian residents are allowed to buy up to 800 cigarettes, 1kg of rolling tobacco and 200 cigars from a cross-border shop in any single trip. Beer imports are limited to 110 litres, wine 90 litres and spirits 10 litres. She must have been driving a rather large (attention-attracting?) vehicle, given the weight of all that water. I recently bought 6 packs of 6 x 1.5 l and that already weighed a lot. It was on a buy 2-get 3 offer, so instead of paying the €18 charged in Belgian stores, I paid €5.20 for 3 packs. France not only has (significantly) lower prices on many items, there is also price competition between stores (apparently not allowed in Belgium). Incidentally, the same brand of water (Volvic) costs around €3.50 (if not on sale) in Germany. And in Germany, one pays a deposit on the plastic bottles that one gets back when they are returned. So the OTT Belgian prices are not just due to tax alone. BTW, it's not just people living near the borders who shop in neighbouring countries. Buying bottled water is a total waste of money. @CM. That depends where you live. If your tap water is 'buvable' as well as 'potable' then I agree with you. But if you live in a region or like me in a building where the water is safe to drink but undrinkable, then bottled water is the way to go. Just buy a Brita filter Anon3. Bottled water is also an environmental disaster. I thought that shopping in any EU Member State country is free competition, freedom of goods and products! There could be an explanation. The Belgian woman might have a very large family and an extended family. If the goods or products purchased are for ones own consumption and private use (not for resale) then this should be legally acceptable. This Belgian woman was driving a massive truck with 500 bottles of water in it. I doubt her family is that big. The "EU" is a myth...how could it possibly be illegal to buy water in France, and take it to Belgium ? Everything is overpriced in Belgium, time to drive to Luxembourg for liquor.